Mrs. Luckett's 4th Grade Class - Lucky to be Luckett Learners! Lucky to be Luckett Learners! 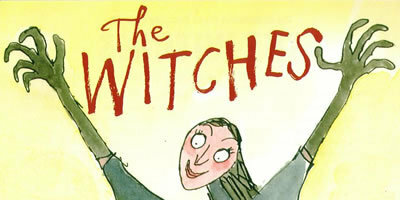 We just completed our Witches Novel study! We read the book and watched the movie. Name 3 differences from the movie and the book. Be sure to write in complete sentences. Click the button below to answer the following questions about the Bill Nye video "Motion"
While we are watching the Bill Nye video on energy, follow along to complete the short answer questions. Every question must be answered before submitting the form. Take your time, but most importantly, PAY ATTENTION! Watch the Bill Nye video on matter. 1) What are three things I didn't know but now know since I watched this video? 2) Everything you can touch is made of ________? 3)Atoms in a solid move more ________ than in a liquid. 4) Water vapor is an example of ________. 2) Everything you touch is made of glue. 3) Atoms in a solid move more apart than in a liquid. 4) Water vapor is an example of water. Notice: I answered all questions in a complete sentence and all words are spelled correctly because the sentence starters are provided for you. ﻿This week we are focusing on adding fractions with unlike denominators. Click the button below to review each step and practice before you answer this weeks questions. Use the skills we have learned in class and from the Study Jam video to answer each question below. Look at my example as a guide to PROVE your thinking. 1/4 + 7/12 = ? Don't forget to prove your thinking!! 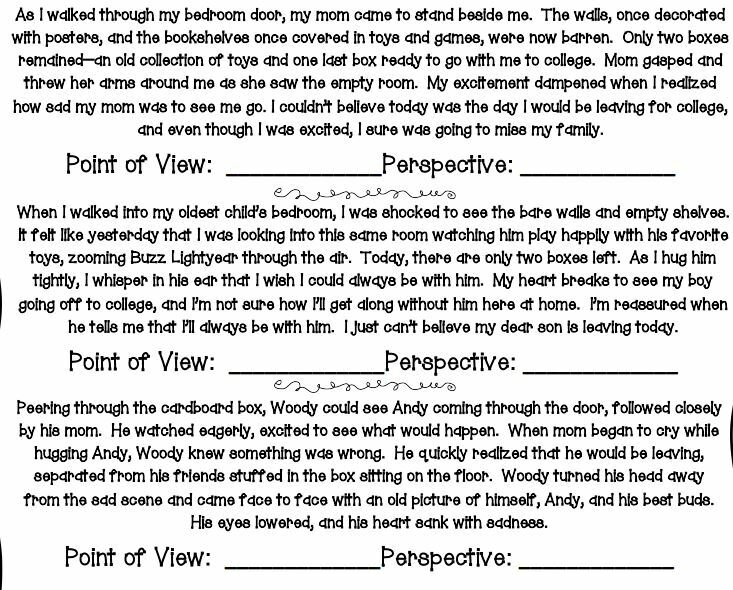 This week in reading, we are discussing point of view and perspective. Remember, perspective is different characters point of view. This will impact the way a story is told. Point of view is the perspective from which a piece of text is written or told. I would like you to watch a clip from the movie "Toy Story 3" below. In the comment section below I would like you answer the following questions. 1. There are several different perspectives in this scene. Please list all the different perspectives you can find. # 2-4 Read the passages below (by click on the blue button) and tell the perspective and the point of view for each passage. 5. How do the different perspectives effect how each story is told? This week we will be celebrating Missouri Day. As a 4th grade, we will explore different activities by traveling to different classrooms and working through a variety of concepts all about Missouri. Missouri has been a state since about 1820. Much has changed in the state we call home since then. Please watch the pictorial video about St. Charles, Missouri. You will notice much change in the city not far from our school. Now that you have seen what St. Charles looked like back then compared to now, I would like you compare and contrast the city. Describe 3 things that have drastically changed. Be sure to write in complete sentences and be as detailed as possible. This blog is worth 20 points this week. It will count as a double grade, one grade in language and one grade in social studies. Check out the rubric above to earn the full amount of points! This week we are focusing on the 5 text structures in ELA. Watch the videos below that describe each structure in depth. Time to see what you know! Watch the two videos below. 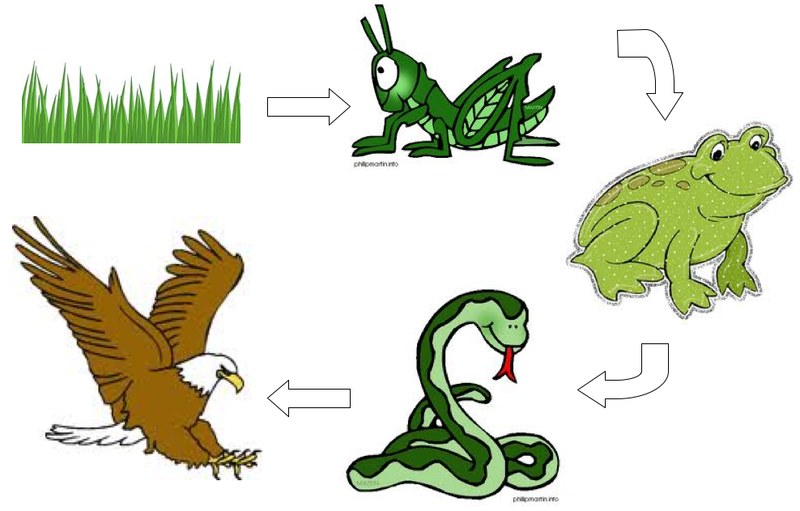 In the comment section describe the difference between a food chain and a food web. Be sure you are using appropriate vocabulary we have learned throughout our unit. After completing your comment, I would like for you to have a chance to build a food web. Click the button below. 3. Print/snip/or screen shot the certificate. Then bring the certificate to class or email it to me. This week in spelling we are working on homophones. Check our the music videos to help your remember what a homophone is and some examples of common homophones. This week, you do NOT need the hit the comment button. Simply complete the form below about homophones and hit submit when completed. Hey you! Thanks for stopping by to get some online learning in! Be sure to answer the questions in-depth! Your responses need to be in complete sentences and be sure to spell words correctly!